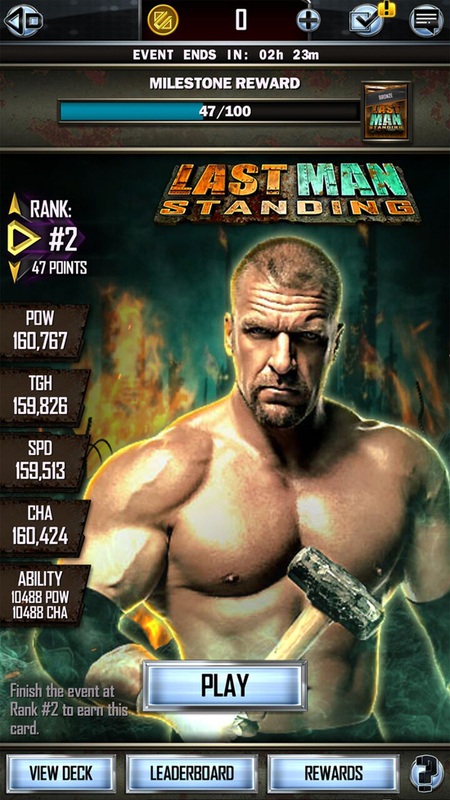 2K today announced Last Man Standing – a new in-game event – will be added to the WWE SuperCard – Season 4 rotation. The event will be available as part of a product update available for download beginning today on the App Store for iOS devices, as well as the Google Play Store and Amazon App Store for Android devices. 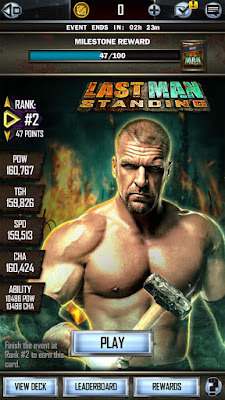 Last Man Standing is a single player event focused on clearing progressively more challenging arenas while simultaneously competing against other players on a leaderboard. After Last Man Standing ends, event cards will reflect a player’s exact numerical position on leaderboard. The inaugural Last Man Standing event will begin on Thursday, April 19 and end on Sunday, April 22.